Die-cut Components for ADAS - Marian Inc.
Advanced Driver Assist Systems (ADAS) are becoming more integrated into vehicles as the market moves toward increased connectivity and autonomous driving. ADAS delivers improved passenger experience, comfort and optimal safety conditions. 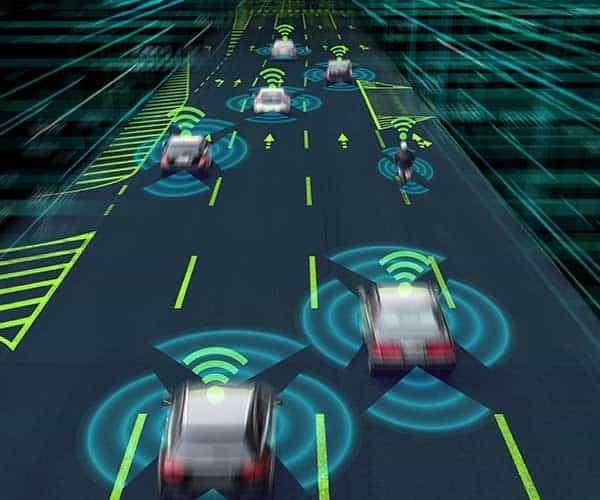 ADAS systems are made of multiple hardware components potentially including HD digital video cameras, sensors, MEMS, radar, LIDAR, processors and digital displays. Components within these sophisticated systems require advanced material solutions to achieve the high level of performance demanded by modern auto designs. Systems are required to function in harsh environments, being exposed to wind, dust, ice, humidity and extreme hot and cold temperatures. They must also withstand vibration and potential force from impact. Designing proper protective components within the ADAS modules will ensure successful operation for the life of the system. Contact us today. PTFE Vents with zoned adhesive to protect enclosures from moisture and debris while allowing pressure to equalize within the housing. Advanced Driver Assist Systems (ADAS) can include a combination of hardware: sensors, HD digital cameras, radar and LIDAR. All of these requiring advanced material solutions.